The perfect Venice 3 day itinerary for your next trip to Italy. We fell in love with Venice. And I hope you do, too. With three days in the city, we were able to cover a lot of ground. We actually only had two and a half days in Venice. Flying overnight from Toronto, we reached Venice midday. So, we spent most of the afternoon recovering with a much needed nap. Even with just two full days in Venice, we had enough time to see many of the sights, leaving many reasons to return. Though it would be incredible to have an indefinite amount of time there, we had to move on after three days. This Venice 3 day itinerary gives you the best taste of what the city has to offer. And you’re left wanting more for your next visit. Are there any places in Venice that you’d recommend that we missed? We flew from Toronto to Venice on an Air Transat flight. Here’s our review of our flight to Venice and back home from Rome, including what we ate as vegans. We reached the Venice Marco Polo airport (VCE) around noon and made our way to the city via the bus. We made sure to buy our 72 hour ACTV tickets to use the public transit in Venice – the vaporetto (water taxi). We bought these at the airport. When we reached the main island, we hopped on a vaporetto with our luggage. We traveled to the stop closest to our apartment. We stayed at Warm Hospitality Apartments – the Giglio apartment. We loved staying in an apartment in the Dorsoduro neighborhood. If you found yourself with enough energy, you could visit a museum or a palace in Dorsoduro. You could go to the Gallerie dell’ Accademia, with its great collection of Venetian paintings. If you’re more into modern art, check out the Peggy Guggenheim collection. If you love churches, be sure to see Santa Maria della Salute or Gesuati. The giganic palazzo, Ca’ Rezzonico, is another amazing place to visit. In our case, we couldn’t sleep at all on our flight. We napped and felt much better after doing so. For dinner, we ate at the local restaurant, OKE Pizzeria. The pizza was so good that we returned for more the next day. The morning and afternoon of our second day in Venice, or first full day, was spent exploring the islands of the lagoon. We went to Murano and Burano. 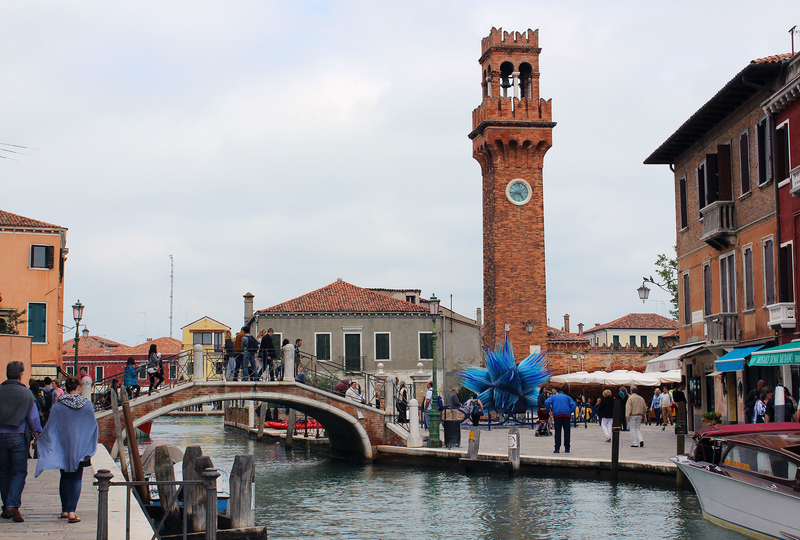 Murano and Burano are not to be missed. Murano is the island of glass, and Burano is the island of lace. However, we mostly walked up and down the canals, taking in all of the sights. In Murano, check out a free glass blowing demonstration by a master. 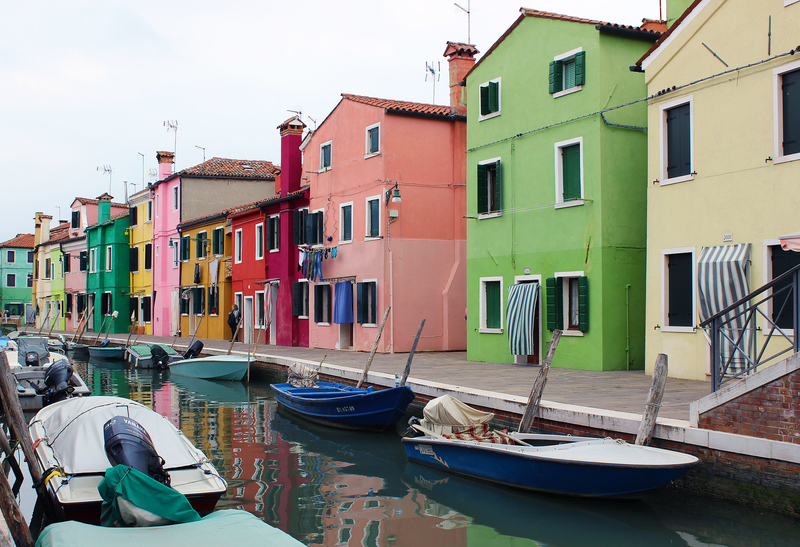 In Burano, admire the brightly colored buildings all around. I’ve written complete guides to Burano and Murano if you’d like some more information on how to get there and what you’ll see. If you’ve got some time and energy, you can take the vaporetto to Lido. This is the beach resort island of Venice – yes, there’s a beach there! Depending on the season, you might be able to enjoy it. In May, it was too chilly to sit on the beach. If we had enough time, we were going to rent bicycles and ride all over the island. However, we didn’t have enough time to visit Murano, Burano, and Lido all in one day. For the rest of our day, we stopped for a coffee on a patio. 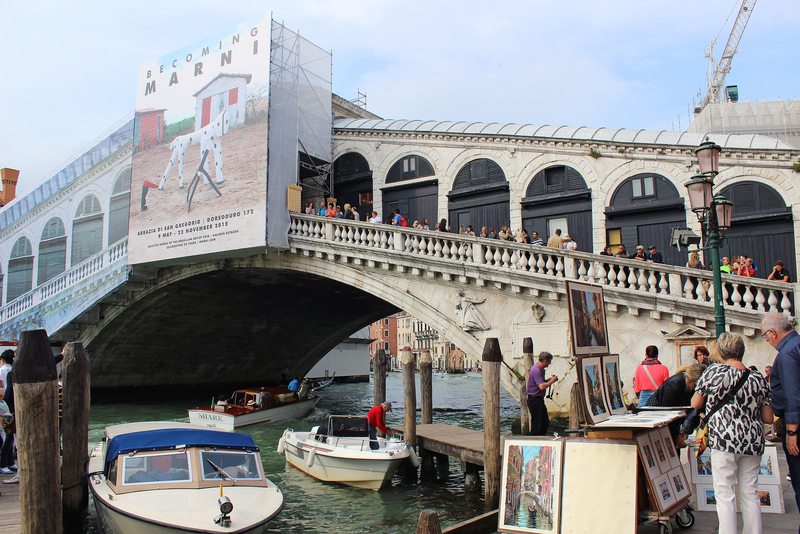 Justin and I walked across the iconic Rialto Bridge, which was partially covered in scaffolding. It did offer a great view of the Grand Canal, but it was very crowded with tourists. We took the vaporetto back to Dorsoduro and picked up some more of that delicious pizza from OKE Pizzeria. We brought it back to our apartment and enjoyed it on the balcony. After such a busy day, we relaxed for the rest of the evening in the comfort of our accommodations. 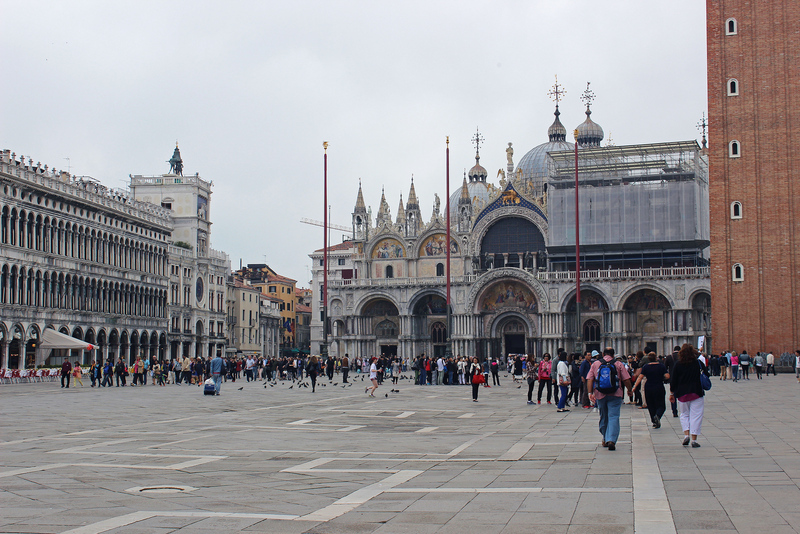 In the early morning, we wandered over to Piazza San Marco to see one of the more popular tourist spots in Venice: St. Mark’s Basilica and Doge’s Palace. My recommendation to you: book everything ahead of time. By booking your tickets in advance, you can skip the long line to St Mark’s Basilica. We went there as early as possible (9:45am) to beat the crowds. If you arrive earlier than that, you can take the elevator up to the top of the Campanile as early as 9:00am. After visiting the church, we had reserved our Doge’s Palace Secret Itineraries tour or 11:35am. We walked around the piazza and surrounding area, checking out the famous Bridge of Sighs. The Secret Itineraries tour is roughly 1 hour 15 minutes. Allow yourself some time at the end to check out the rest of the palace. After grabbing some lunch, we started to walk all over the main island of Venice. I highly recommend that you get lost in Venice. Yes, really! It’s the best way to explore and you won’t truly ever be completely lost – you’ll find your way to a recognizable place eventually. You never know what you might stumble upon, whether it’s an interesting building, alleyway, or doorway. The city is so full of amazing history. The best thing you can do is wander around, seeing as much of it as you can. We found one of the best bookstores called Libreria Acqua Alta. It’s the only bookstore that has a gondola inside, filled with books. This bookstore is prepared for a flood, as books are stacked in tubs and boats. 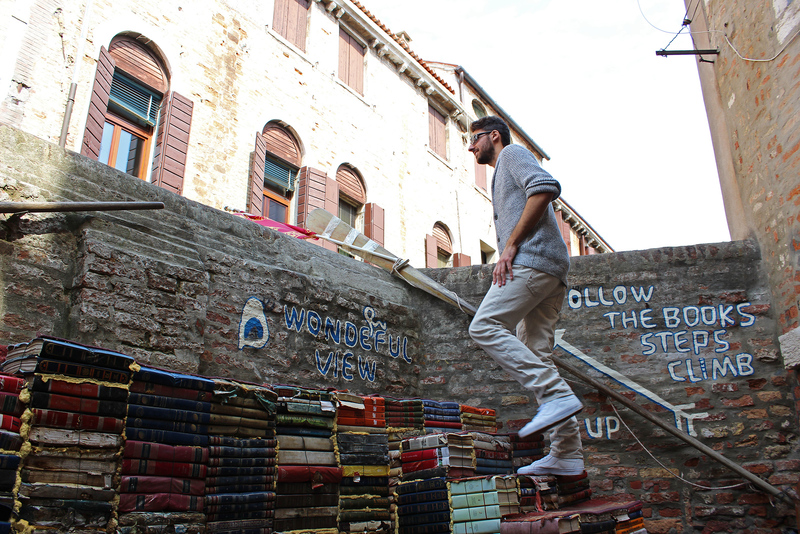 At the back of the store, walk up a small staircase made of old books for an awesome view. We spent our last evening in Venice taking a romantic gondola ride. Especially if you’re traveling as a couple, a gondola ride is such a memorable and magical moment to share together. 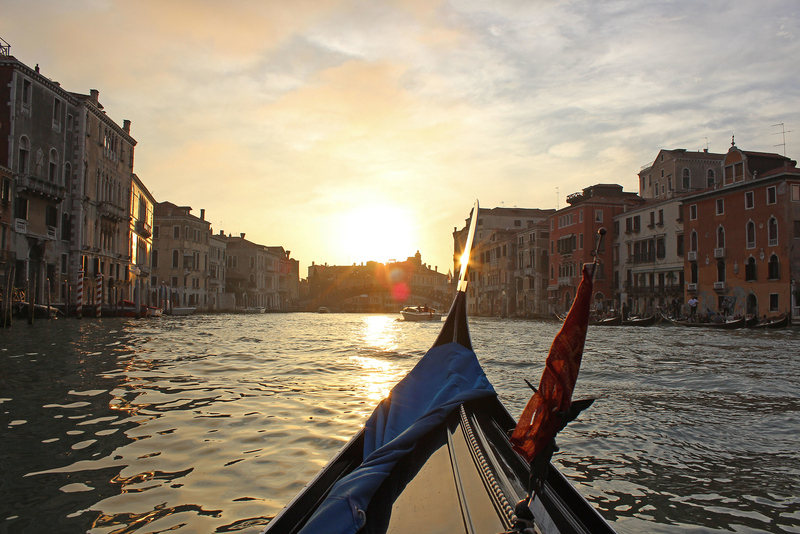 We opted to take our gondola ride at dusk, which was even more romantic as the sun began to set. Even though you can catch awesome views of Venice from the vaporetto, it’s a whole other experience to take a gondola ride. For dinner, we went to Le Café in Campo San Stefano. We enjoyed a wonderful meal on the patio, enjoying the ambiance of the piazza. For your next Italy trip, be sure to add Venice to the travel plans. This Venice 3 day itinerary allows you to see many of the main tourist attractions without rushing it too much. It’s all about striking a balance. You don’t want to rush around from place to place (it’s definitely not the style in Italy, either!). Yet, you don’t want to miss out on anything. This Venice 3 day itinerary provides a great foundation to see many stunning sights, and leaves you wanting more for next time. PIN this image to your Pinterest board for future reference – click the top left corner. Isn’t Venice just divine Lauren? We loved it too. And Murano and Burano are definitely worth seeing! I think a lot of people get a bad impression of Venice because of all the tourists who crowd into the city on day trips. You need to stay in Venice for more than one day to experience it at its best – and your accommodation is best located away from the main tourist spots of San Marco and Rialto Bridge. Wandering the back streets is where you find the real treasures – and get lost is all part of the fun! I’m dropping by from #WeekendWanderlust. Venice is in the top 10 of my must-visit places list. I hope to explore its streets and canals in the future. I love Venice. Who can get enough of those shining white marble stones and beautiful architecture with canals in between. I like what you said about getting lost in Venice. One of my favorite ways of seeing a city is randomly wandering around (or going on a run). You find parts of the city that you’d normally never find. I love getting off the beaten path! Great itinerary! I would like to go back and stay around 4 days. A visit to the colorful islands on the lagoon is a must for me. Bookstores and libraries are top of my list when visiting a new location. I love to see the local sights but don’t feel time spent in a book store or library is wasted at all whilst on holidays. I love the sound of walking on books – it seems almost sinful!! Thanks for sharing this experience I will remember to do this if there shortly. There is so much to do in Venice. Thank you for your tips! A perfect 3 day itinerary! 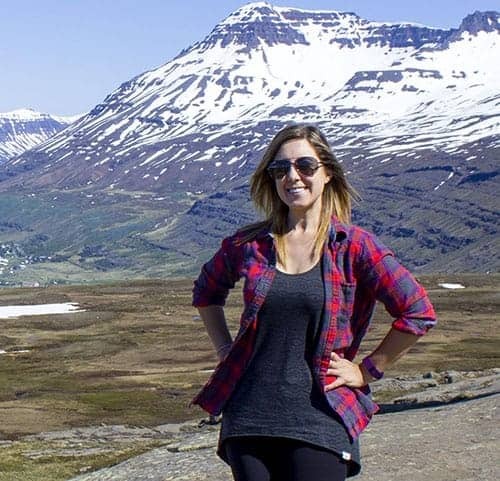 I really enjoyed your itinerary! 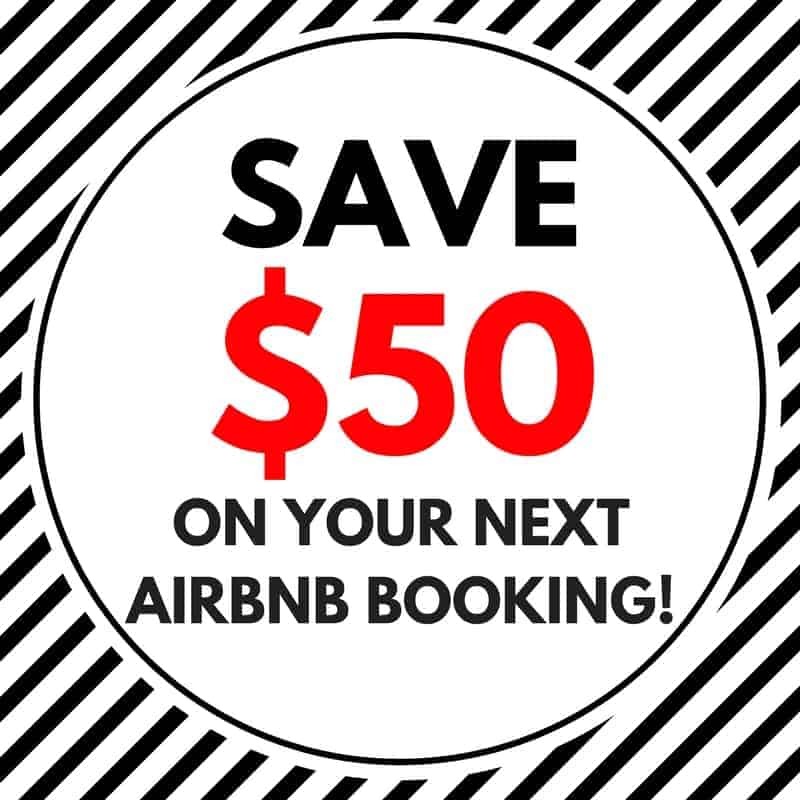 Just curious to know what service or tour you used to visit Murano, Burano & Lido? Or did the standard ACTV tickets take you there. Those gorgeous candy colored houses are to die for!!! Thanks for the informative post – 2017 travel goals definitely include Venice! !